When you start as a new blogger you have so many things that you have to learn, and it can all be a bit overwhelming. You basically have no clue what you are doing. You need to learn how to start a blog and a checklist to guide you along the way. So you took a chance, jumped into the blogging world, and you’re trying not to drown in a sea of misinformation. We’ve all been there, and it gets better. Even if you have nothing but time on your hands, it can feel like you don’t have enough time because there’s so much to do. You already know that as your blog continues to develop and grow, you are going to have to do more for your blog to keep it growing. But where do you start? Here! 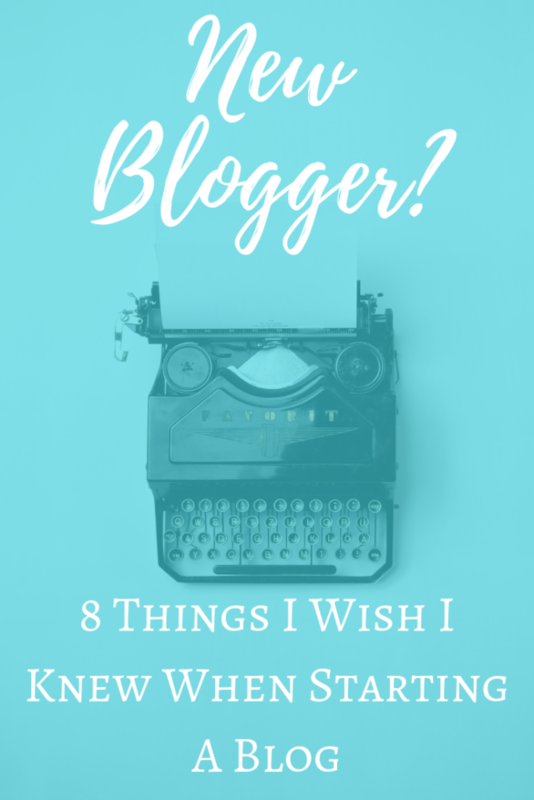 I wish I had a list like this when I started my blog to guide me in the right direction. Your time is valuable and I know you don’t want to spend it on something that’s not going to bring your blog any value. That’s why I put together this checklist for new bloggers to get started in the right direction with their blog. 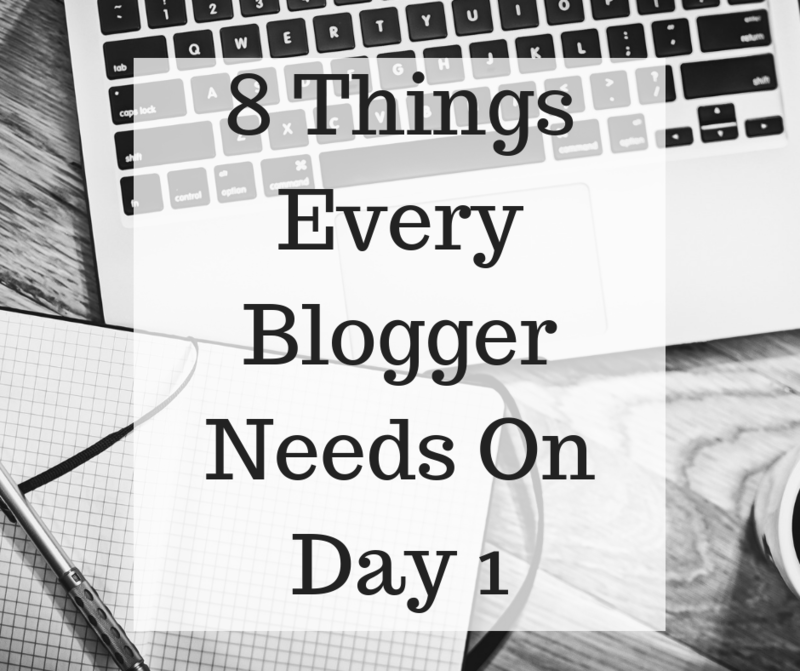 Everything on this list is crucial to a new blog, and I wish I would have done each one sooner then I did. I either did not know about it, didn’t think I needed it just yet, or was too busy focusing on something less important (and just didn’t know any better). Hope this helps you get your blog on the right track sooner, I know it will if you do all of these things. I recommend saving this post and working down the list. Don’t try to accomplish everything at once, or get everything done in a day. If you can, great! But it’s not necessary, work at a pace that you are comfortable with. Some of these things take time to master, but the sooner you start using them, the sooner you’ll be proficient at using them. Tip: You should create a Blog file in your browser’s favorites and save some of the links below, you will use them often. *This page contains affiliate links to products I recommend. If you purchase something from this page, I may receive a small percentage of the sale at no extra cost to you. I only recommend products and services I use and truly believe in. Disclaimer: All opinions expressed in this post are my own. This content is based on my own personal experiences and there is no guarantee that you will experience the same results. If you are looking for group boards to join, I am currently accepting contributors to my board: Promote your Blog!! Group Board for Bloggers. Just click the board title, follow me and the board, then send me a message through Pinterest and I’ll add you. Just be sure to follow the rules of the board. If you don’t already have one, this is the first thing you’re going to have to do. You cant have a blog without having a blog, so go ahead and get yourself a hosted WordPress site using Bluehost. You will need a hosted site (not a free one) because you will own your blog and will be able to do whatever you like with it. If you use a free blog hosting platform, you won’t actually own your blog or be able to monetize it in the future. New bloggers, if you haven’t started a blog yet, check out How many blog posts you need to start a blog. Find a theme, there are plenty of free and paid ones available. Try out a few and see how your page looks before deciding to go with one in particular. Google Analytics is one of the things I wish I had from day one. I just assumed that WordPress had some sort of analytics or tracking tool built-in to it. I figured I would need Google Analytics at some point down the road, but not when I first started. When I started getting comments on my blog posts and tried to find my pageviews, they were nowhere to be found. It could be months before you start to get real visitors to your blog, but without Google Analytics you will have no idea when that happens. You’re going to want to know how many people are visiting your site. Set up Google Analytics on day one, and be prepared, you don’t want to be blindsided. Once you start to get any sort of traffic, this is probably going to be the first thing you look at each day. Yoast SEO is one of the most useful tools a blogger can have on their WordPress site. This plugin offers a free version and really helps you start to write your post in an SEO friendly format. In the beginning, you probably know that Search Engine Optimization is important, but you probably have no clue where to start. Yoast SEO will offer tips and suggestions to help people and search engines to read your posts easily. This plugin will help you break up blocks of texts that are too long and hard to read. You will learn how to use headings and keywords to optimize your pages. They even have built-in ways to add links to your social media accounts. I don’t know about you, but I am certainly not the best when it comes to grammar or even spelling. When I wrote my first few posts, I would have some close people to me read them to get their thoughts. But they couldn’t even focus on content because of my grammar mistakes. 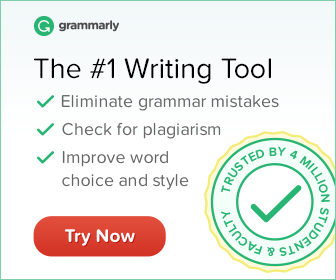 This is where Grammarly came to my rescue! Just like everything else, they have paid and free versions. I use the free version, but I find this tool so helpful that I wouldn’t even mind paying for it. You can download Grammarly in many different versions. I have it as a browser extension in 2 of the browsers I use, and that’s perfect for me. Even if you think you are great with grammar, Grammarly will still probably help you. If nothing else, it can save you time by finding minimal spelling or punctuation mistakes that you might easily overlook during proofreading. Grammarly has definitely made me a better writer, and I couldn’t blog without it. Pinterest is a must for any blogger and can drive the majority of your traffic to your blog. You have 2 options, start a new Pinterest account for your blog and convert it into a business account for free. Or you can convert your existing Pinterest account into a business account. Having a Pinterest business account gives you access to Pinterest analytics. I’m sure you want to see how your account is performing and what pints are getting seen and clicked. I check this every day, but unfortunately, it only updates every 2 or 3 days. I just can’t wait for the updated info to come out. Make sure you fill out your profile completely and claim your (blog) website through Pinterest. Pinterest gives you a few ways to claim your website here by editing the HTML, but if that makes you nervous you can use Yoast (very easy, see video below). Here is a great short tutorial from Surfside PPC on how to confirm your website using Yoast. Rich pins give your pins more a more professional look on Pinterest. They will include the name of your blog and the metadata from your post in the pin description. You will only have to do this once for your website or blog. Here is the link to the Rich Pin Validator on Pinterest. Here is a great video from Pinning for Teacherpreneurs that shows you how to set up rich pins using the Yoast SEO plugin. Even though Tailwind is towards the bottom of the list, don’t think that it’s not as important. Everything that I have mentioned prior to Tailwind is basically to get your blog up and running, and ready for it to be seen. Tailwind is what is going to actually get you visibility on your blog posts. Heres what it is and how it works: Tailwind is a social media scheduler, for Pinterest and Instagram. I use is for Pinterest. 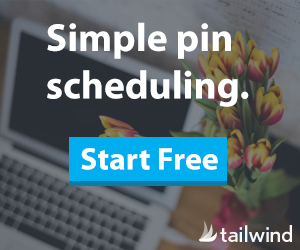 So why do you need Tailwind to schedule posts? Because in order to be relevant on Pinterest and get your blog posts seen, you have to post them at the peak times. If it’s convenient for you to post your pins at 2 or 10 in the morning, they might not get visibility because most people are not on Pinterest at that time. To be successful at Pinterest you have to post good content, often, and at peak times. With Tailwind I can schedule a week’s worth of posts at once if I want and spend my time focusing on everything else. Personally, I schedule 10 to 20 posts for each day at peak times, then manually pin whenever I have a few minutes to find more great content on Pinterest. Best of all, you can try Tailwind for free. I waited to sign up for Tailwind because I thought the free trial only ran for a month, but it does not expire. You are limited to how many posts you can schedule, and how many tribes you can join, but just use the free version until you are convinced it’s worth the money. Hosting and Tailwind are the only two things I pay for on my blog, and they are the two most important. Sing up for Tailwind here for free!! Ever wonder how people make those amazing Pinterest images? There are plenty of other other tools out there for bloggers, but Canva is definitely one of the most frequently used. Best of all, it’s free! Of course, there are features that you can pay for but you don’t have to. Create a free Canva account and start creating. This is one of those things that takes a little time to master. There are so many features to customize your images. Just keep playing around with it and you will get the hang of everything. It’s best to use your own images in your blog posts. If you don’t have the kind of images you need, you can use a free stock photo site like Pixabay or Pexels to get royalty free photos. Be sure to read the license info to understand how these images may be used. I use an iPhone and all of these apps personally, they are available on the Apple App Store. WordPress – Create and edit posts on the go, from anywhere. Google Analytics – See your site stats on the go. 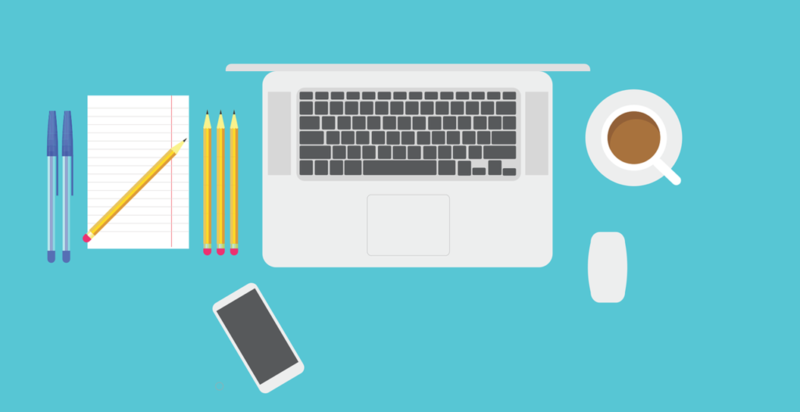 Canva – Have a few minutes to spare, great work on creating images for your blog. Tailwind – We know how useful Tailwind is, it’s even better when you can take it with you! Pinterest (Of course!) Use to manually Pin whenever you have free time. Perfect for when you are on the go and you have a few minutes to spare. Remember pinning keeps you relevant to Pinterest. Notes (standard iPhone app) I use this to make myself lists, things to do, post ideas and start rough drafts of blog posts. This post is very well written and will help so many others!